I've got a couple of mates stopping over this week. They were tired from travelling, so opted to buy an afternoon pass at Patscherkofel which starts at 12 noon. It was snowing and cloudy this morning and we expected it to clear up for the afternoon, but it kept going most of the day. 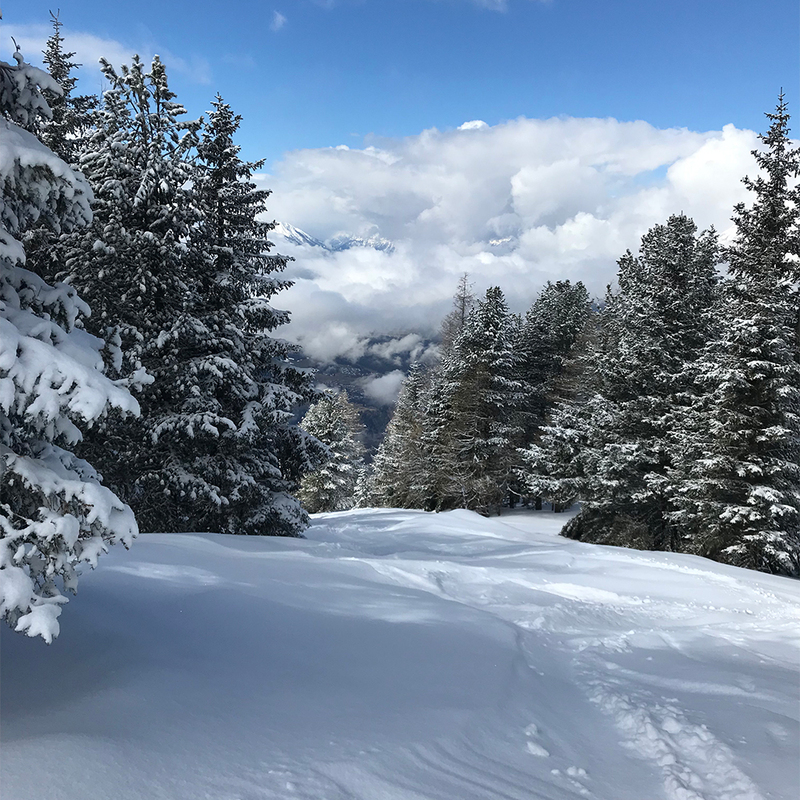 There was generally about 10-15cm fresh snowfall when we arrived, but at 4pm we were still finding fresh tracks in the trees up to 30cm deep! It was proper fluffy powder today too, not the leg breaking mush I was skiing a couple of days ago. Thinking about Nordkette tomorrow after today's fresh snow. It was shrouded in cloud all day. What does the collective think? Crazy warm but some great skiing this weekend! Widepsread avi level 1, so good conditions to get into some steeper more technical stuff. 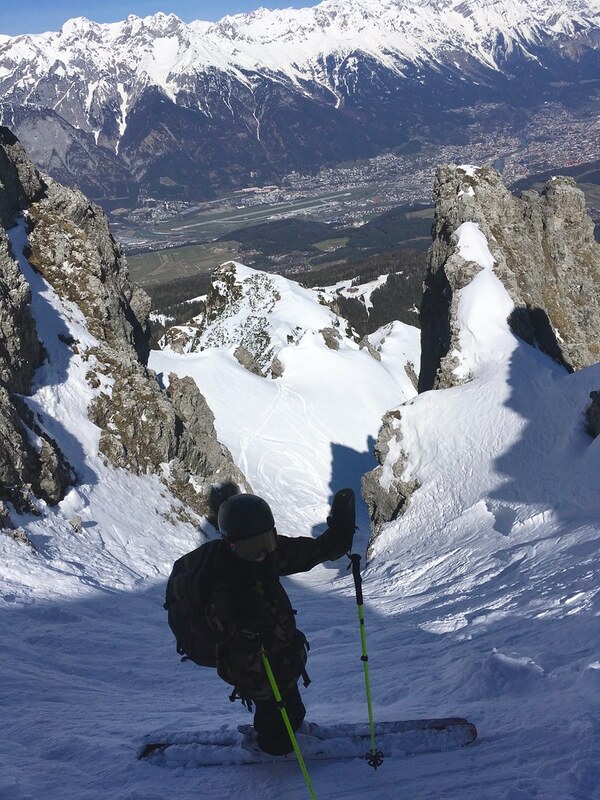 Nockspitze seemed like a good plan, as it's not too hard, but is one of the classic Innsbruck lines you cna see from everywhere in the city. I'd been watching it all week out the office windown, and it stayed untracked - until Friday. By the time we got up on Saturday enough people had been through, but still some nice snow. Chalky and grippy in the shade, softening nicely in the sun, then slushy later on. After skiing up the shaded Mairrinne you come over the ridge onto the South side, which gets a lot of sun and wind, leaving a few bare patches. Can see Ampferstein in the background on the left and the Axamer Lizum pistes on the right. Looking up as Joe drops in to the couloir above me. TBH this bit was possibly a bit too much of a step up, but he got down safely sideslipping carefully. From there over to the (now closed) resort of Muttereralm and slushy empty groomer shred down to Götzens and a bus back up to Lizum for more slushy groomer cruising. Skied at Stubai on Sunday too, but with a raging hangover. Still some pretty cold grippy wintery snow on the upper half, and more lovely slushy bumps on the lower. Feels cooler today in town, and supposed get more so later. Freezing level to <1000m and around 15cms snow overnight is possible. Some resorts like Muttereralm shut now. Heard today that Patscherkofel with shut on 17 April. Lizum and Kühtai have plenty of snow and should easily be able to stay open 'til after easter (should still be able to tour there 'til May or even later), but I'm not yet sure when they plan to close. Stubai likely to stay open for skiing until June at some point. Local resorts reporting 10-30 cm fresh snow over last night. Seems Nordkette got the most, but Kühtai is looking really nice too! Spent a few hours today on piste at Axamer Lizum. It was snowing at the top, and there was about 10cm fresh off piste. The temperature has dropped, so the pistes were in really good nick, nice and grippy and chalky. Snow clouds seem to be hanging around, so tomorrow will probably be quite good too. More great (and surprsingly fluffy/powdery) spring snow on Saturday, in Serles's Nordrinne. Another classic IBK line that you can see from everywhere in the city - from down here it looks super gnar, but in reality it's very much in the fun zone and probably tops out not much over 35°. Zigzagging back over from the other side. A number of tracks already in there, but still plenty of space to put our own in (and plenty of kickturn practise on the way up!). Photo from Melli. 95% of the way up is a nice spot to transition, where the rockband splits once again. 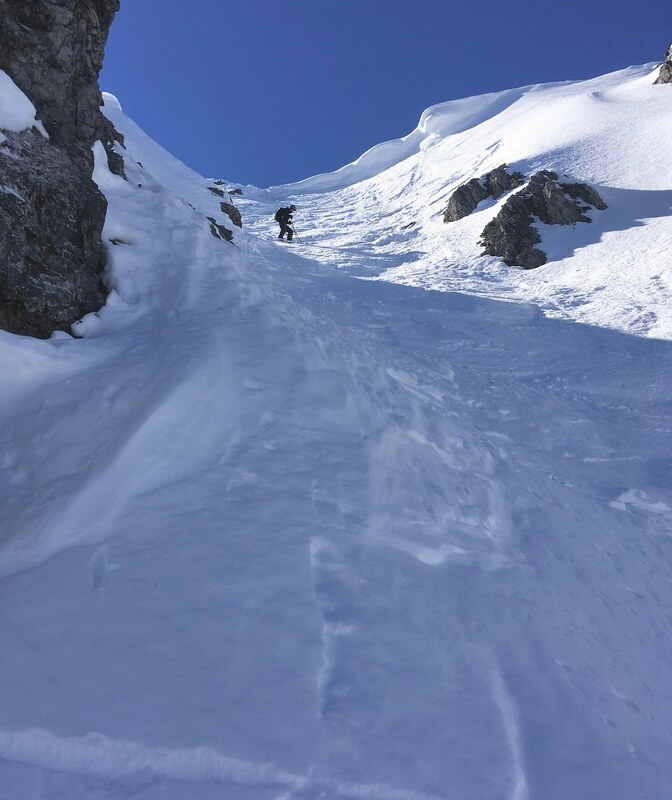 Another 50 vert metre bootpack (too steep/narrow for skinning to be practical) brings you to the ridge, but in the deep soft snow it didn't really seem worth the effort for the skiing gained. So we stopped here and transitioned. Melli Photo. I dropped first, and Melli grabbed a few nice photos! The rivers are starting to flow now too with the warm weather - went kayaking on the Loisach (by Garmisch) on Sunday. Brilliant clear green snowmelt water and techy grade 3 rapids was a great way to get the feel of being back in the flow before the paddling season really kicks off. Already snowing at Stubai and Obergurgl, and a whole bunch more to come! Could be over a metre at those two resorts (at the end of the southerly valleys to the Italian border). Axamer Lizum and Kühtai likely to get a good 20-30cm (maybe more) too. Morris reckons more like 90+cms... We'll see. Still roasting here in the city currently mind! Might give Kühtai a go tomorrow. Friday, so should be fairly quiet. Haven't you ruled yourself out of this weekend's powder? Pretty much everywhere local is closed today except Kühtai and Nordkette because of the wind. Still warm and sunny, but I can see the storm rolling in down Stubaital. I'm heading to Obergurgl on Saturday for 5 days and there looks to be a a good metre due between now and then. Hurrah! Yep I'm flying back to the UK for fish n chips tomorrow Back on Monday... Not the best timing! Sets up the Kaklkkögel/etc for an even longer touring season though. If you fancy earning some pow turns, Seefeld is closed, so you could get on piste pow safely without much competition. Hi all, just wanted to post in here as I saw some talk about Obergurgl/Hochgurgl : ). My partner and I were thinking about heading out to the area/Solden next week Monday for a week, but with some changes in temperatures I have been waiting to see how the forecast pans out! Would be curious for any advice or input. We were hoping to pack powder skis/board and not do any touring, but open to suggestions as always as we have a car and can drive. Check out og/hg facebook pages - so much snow the road up the valley from Zwieselstein was closed this morning! I saw this! But what I meant regarding the weather was i.e. from those who know the area well how the freezing levels might affect things next week . Could be worth it or hardly worth it if you know what I mean. We left 2 weeks ago so can't really help you with an up to date view, sorry. Bergfx weather app may be worth a look - we were in Austria for 3 months and used it every day. It was always accurate - usually even to the hour. I suspect I know the answer to this but I fly out tomorrow to Munich to hire a car to get me to Obergurgl. Will I need snow chains or winter tyres? I haven't booked them but i'm thinking I should get some. @drakesnow, you probably know this but just incase .... the 'gurgls are really wind "sensitive" - so, at times, they were closed when most of Solden was open. No problem @Scamper, appreciate it : ). Yes I am familiar, and yes that makes sense! Perhaps someone else in the area can comment on how well things are likely to hold up. @bompey, not sure I can help but I feel like your journey up by then will be fine. Assuming you won't be driving around much after arriving, and that freezing levels don't drop hard next week, you will probably be OK.
Hopefully someone else in the know can comment better on this though as I don't know the area. Roads should be fine bluebird today, everything will be fine by mid morning I imagine and surely by tomorrow. Some more snow in forecast so unless that affects your return, winter tires will be sufficient. Enjoy, I was hoping to make exact same trip this evening but couldn't find anyone to go with! Maybe next week so please post updates on snow conditions. @drakesnow, winter tyres are still required for a couple of weeks, so you should get them, but do check. Roads generally have been fine though. Regarding next week, it’s weather so it changes, but I would expect slush, heavy snow and maybe a bit of fresh on top. 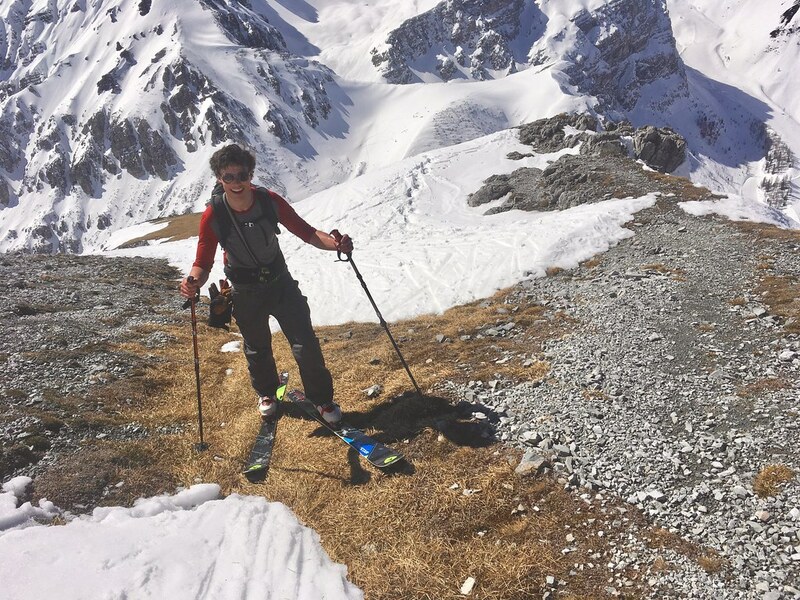 Powder skis/board are ideal if you’re not on piste (and probably if you are tbh). Snow depths are still huge so touring or skiing in the higher areas will be fine. What height were you in kuhtai scarlet? surprised to hear how heavy it was (although I had noted none of the reports referred to the quality of the snow). I had hoped above 2500 would be grand for a few weeks yet? @8611, Kühtai village is at 2050m I think, and the highest lift goes to about 2500m, so you’re never higher than that without a hike. The Kaiser Max side of the valley gets the sun earlier in the day and was already getting heavy when we arrived. The other side was better and where we found better snow above about halfway. Am I to take it that me reading the snow line is kind of irrelevant as if sun is shining on the snow it'll go heavy irrespective of the actual freezing line? I've no experience skiing april (as far as I can remember at least). Have been watching forecasts thinking if freezing line is 2200 I probably still have 1000m vertical of good snow in those higher resorts? Am I to take it that me reading the snow line is kind of irrelevant as if sun is shining on the snow it'll go heavy irrespective of the actual freezing line? I've no experience skiing april (as far as I can remember at least). Exactly that - and it works the other way too. Found fluffy powder at times in the last weeks of +15°C well below 2000m, but on steep shady slopes. 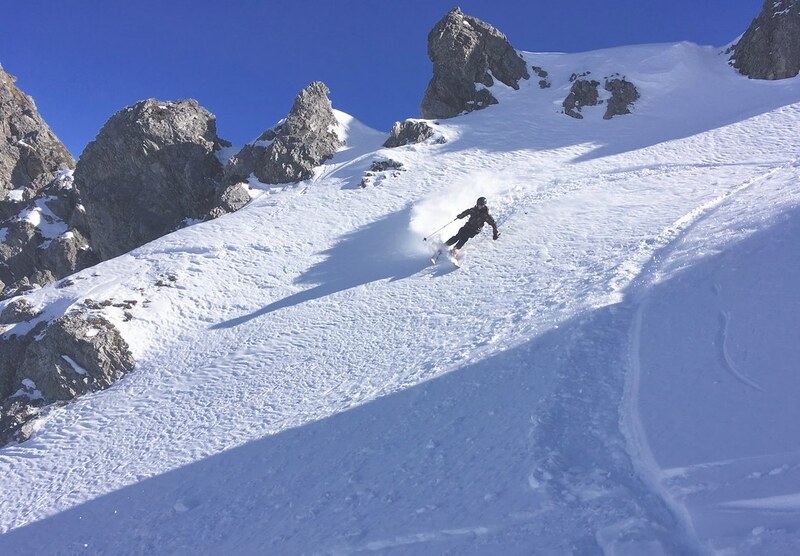 @drakesnow, the big 4* FWT qualifier is on (or should be on) in the next few days, but even without that you'd struggle to find many lift-accessed spots that won't be tracked a week after a snowfall at Obergurgl. Or do you mean this coming Monday 8th? 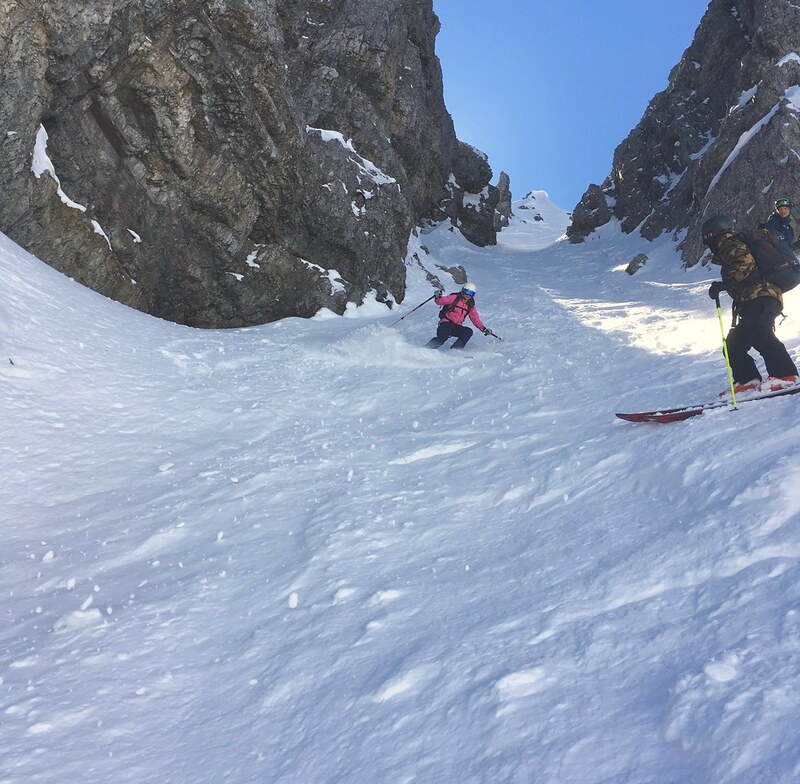 If you go touring there will be powder for days in Ötztal and around the Gurgls, no matter what the freezing level does. Just gotta find the steep shaded sheltered zones. Thanks @clarky999. I saw there was some action going on today that was called off actually due to conditions - a couple of the riders took some pretty bad falls at the start. And yes, I meant from this coming Monday : ). Yes of course, totally hear you there! It's just the whole area is not one I know at all so would have to do some homework - had a quick look at Fatmap which showed some things though. My main concern was lots of rain and poor visibility I guess, but that's how it goes! I'm very seriously looking into spending 4 weeks in Innsbruck next January. I've spotted a few apartments to rent on AirBnB and HomeAway, and also emailed the Tourist Office, but they don't deal with rents past 2 weeks. So I'm just after some general advice - what are the good and bad areas to base in? Are any of the smaller towns around Innsbruck worth considering? Any lift pass deals? We'll have a 4 year old along - any tips regarding child care? And anything else that springs to mind?!! We'll be driving out from Ireland. What do you want from a location? Presumably you’ll have your car, so you might actually be better slightly out of town as parking is a little easier and you can base yourself somewhere with good motorway access. I don’t live in the city and find it to be fine, though I have to go there if I want shops (not supermarkets, those are everywhere), restaurants or nightlife. However, @clarky999 does live in the city and thinks the rest of us are peasants so he can give you that perspective too. Look for an AirBnB with parking if you can, preferably covered. For a lift pass, I think the Olympia card might work if you’re staying local, or the Tirol card if you want to go to the bigger resorts a bit further away. Most of us locally have one that’s similar to the Olympia card and find it’s enough, but ymmv. Sorry, no idea about child care. Could the tourist office not help with that? @Scarlet, I guess it's a trade off between budget and easy access to shops/restaurants and specially skiing. I've seen several apartments in Mittenwald and Scharnitz, but I don't know enough to know if they are worth looking at - we don't need to live in Innsbruck itself if there are plenty of supermarkets, and a few restaurants etc wherever we are, but I don't really want to have to drive much more than 30 mins on a regular basis to ski. 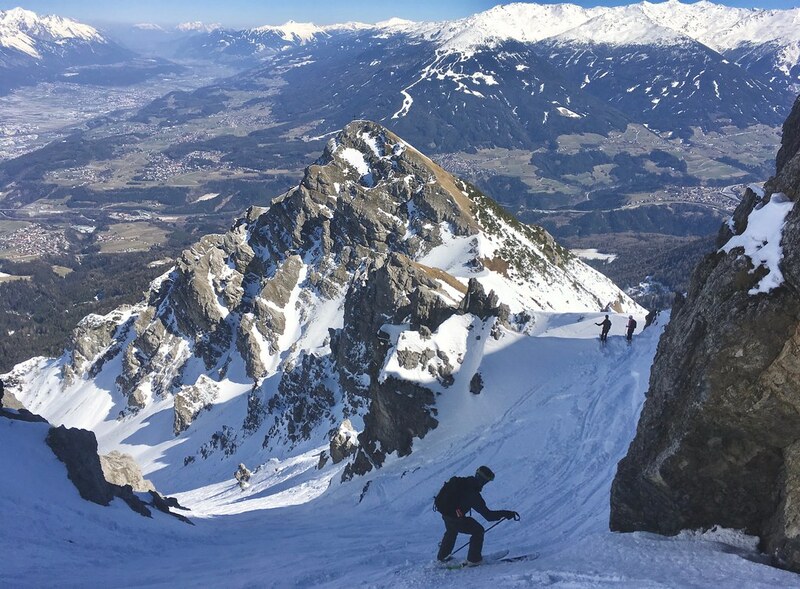 What area are you in and how long does it take to get into Innsbruck and the different ski areas? That’s quite far away, further than I was expecting. Seefeld is close but about 30min from the city, so you would be over that to ski elsewhere, but probably under 45 min for places like Axamer Lizum, Patscherkofel and Nordkette. I live about 5 miles out east from the centre in one of the villages. It takes me 15min to get to the Nordkette funicular at Lowenhaus on the bus, a couple of min more to the town centre (Marktplatz) or about 10-15min in the car. I drive about 40min to Axamer Lizum or 20min to Patscherkofel. I can be on the motorway in 5min. For better access to the city itself, I’d maybe look a bit closer – Hungerburg is really nice, though it’s a bit of a drive to get down the hill and out if you want somewhere that isn’t Nordkette, Arzl, Igls, Mutters, Axams etc. Generally, those very close to the ski areas or on the way to them (Nordkette excepted) are a bit more touristy with hotels, ski hire shops etc., and the rest are more traditional villages which have few amenities – usually a bank, small supermarket, pharmacy, post office, maybe one restaurant, but not much else. They are pretty quiet and you go into the city for anything else. There are lots of bigger supermarkets and other big stores in clusters along the 171, but none are open late or Sundays. @Scarlet, Thanks. Yeah Mittenwald and Scharnitz are further than I was originally thinking but when they came up when I put Innsbruck into the search box I started to wonder. I'll check out Hungerburg and if you've any other names throw them at me. I don't mind having to drive a bit to eat out etc but it would be nice to have some options where we don't have to. I've already got 2 more friends who will prob join us for 2 or 3 of the weeks so this could grow! What about a rental agent in Innsbruck? It would be good to have someone send me a list of available apartments with a few details as to location that I could then look through. I'd hoped the Tourist Office would do that but is there someone else? @Tom Doc, you’re probably best sticking with the online sites as anyone who want to reach tourists will be listed there rather than in the city, I think. Long term lets are on three year contracts or change hands tenant to tenant, so not much use to you. Most villages in the surrounding area are nice, if a little quiet. There are a couple of places in the city I’d avoid – Pradl and areas right by the motorway. Might be easier for you to find suitable properties and we can tell you what the area is like. Google can give you the driving times and buses too, I think. Kematen to Wattens is about the limit of my knowledge, though! @Scarlet, ok, cool. I'll spend some time on the laptop and come back for more advice soon! 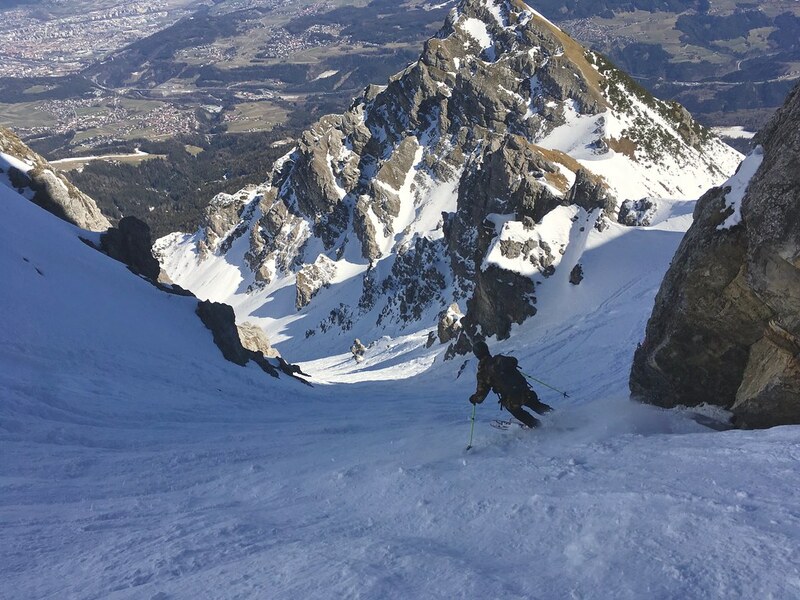 looking for advice on skiing the stubai glacier at the end of may, can i get there by bus or train from the valley resorts, what time does it open for skiing in the morning, i"m presuming it shuts around midday, and is ski hire available, any other advice would be appreciated. 1. Easy by bus from most places, but depends which valley resort you mean?